When this map of the Montreal harbour came to us it’s small 11 x 15 cm cover hid a map that measured over 96 x 31 cm when unfolded. Too delicate to weigh down we shot this with our Betterlight 8K medium format camera. 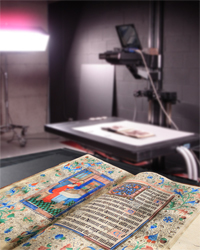 With a full image size of 9426 × 3352 pixels when you extract a JPG from the PDF you can get some really nice detail. You can download the map from our catalogue or you can see the original by visiting the Rare Book and Special Collections reading room during opening hours. Close of Lachine Canal from the Plan of the wharves in the harbour of Montreal, 1877. Montréal: Printed by] the Burland Desbarats Co.
Harbour Commissioners of Montreal., & Kennedy, J. (1877). Plan of the wharves in the harbour of Montreal, 1877. 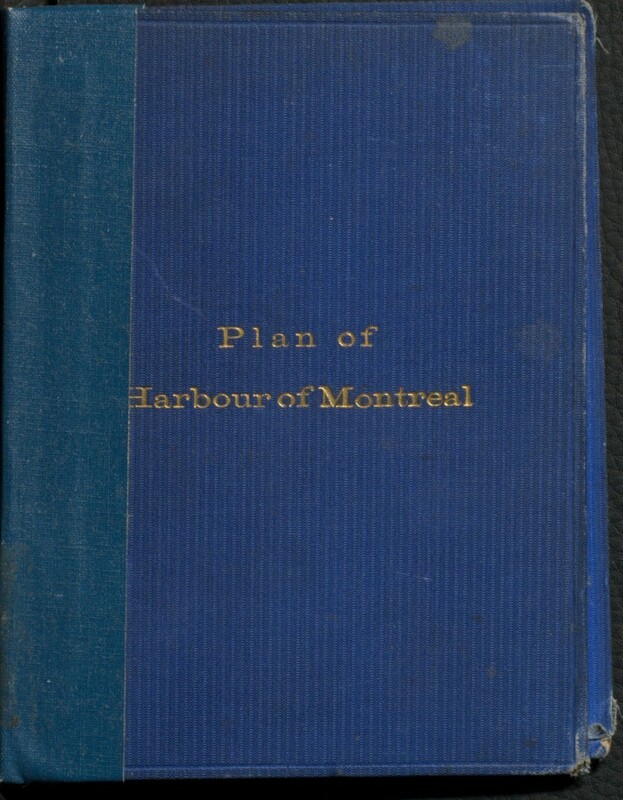 Montréal: Printed by] the Burland Desbarats Co.
Cover of Plan of the wharves in the harbour of Montreal, 1877. Montréal: Printed by] the Burland Desbarats Co.